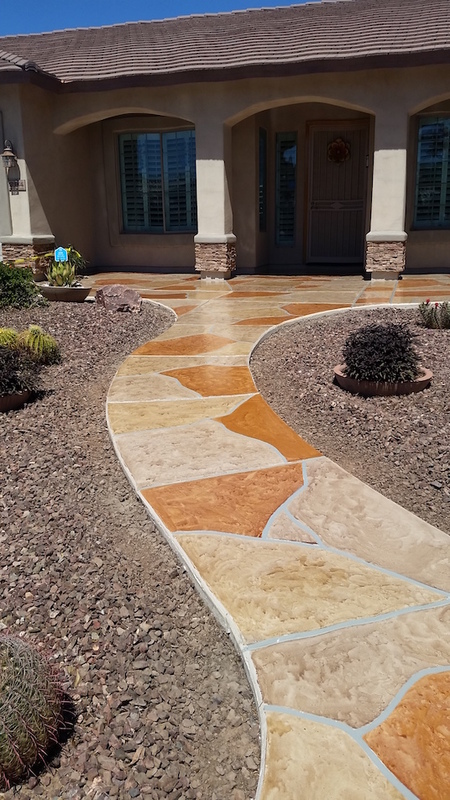 There are a variety of concrete surface coating options available for a wide range of needs and budgets. 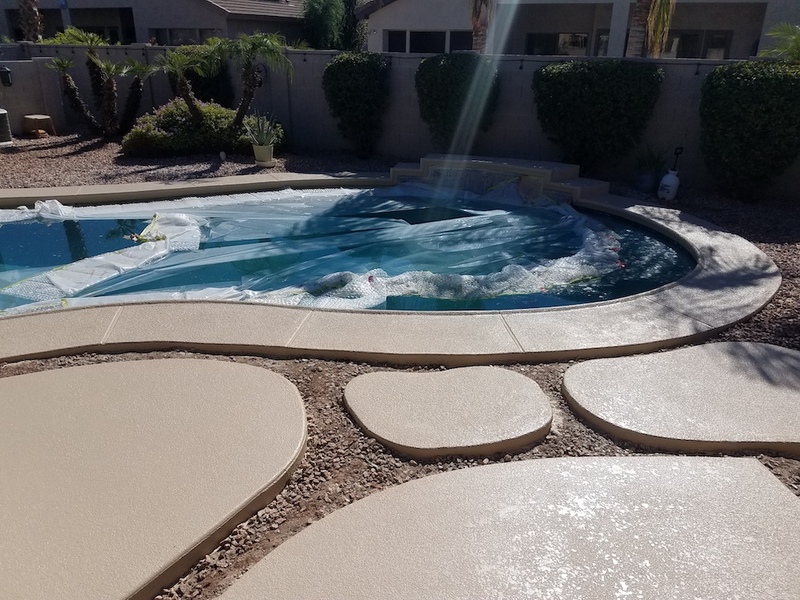 Whether you seek resurface a pool deck, creating a slip resistant area around your pool, install a durable epoxy coating over your garage floor, enhance and protect a commercial space or simply change the color of existing concrete, we go to work to develop the best solution for your project and budget. 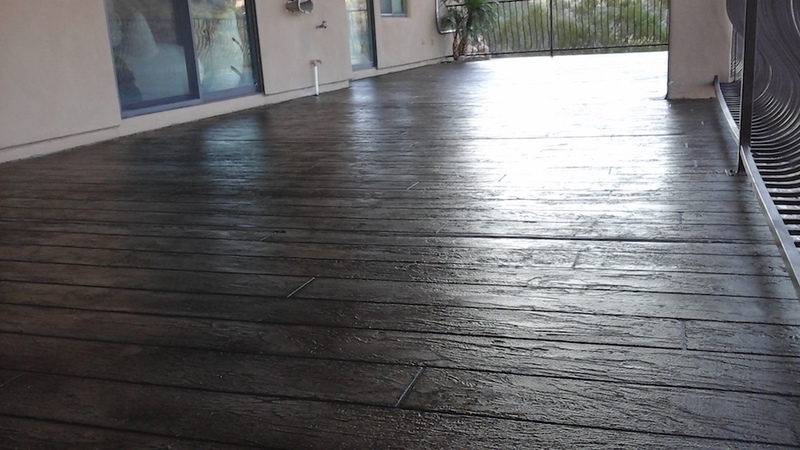 Our residential and commercial concrete coatings restore and renew old, worn concrete flooring. 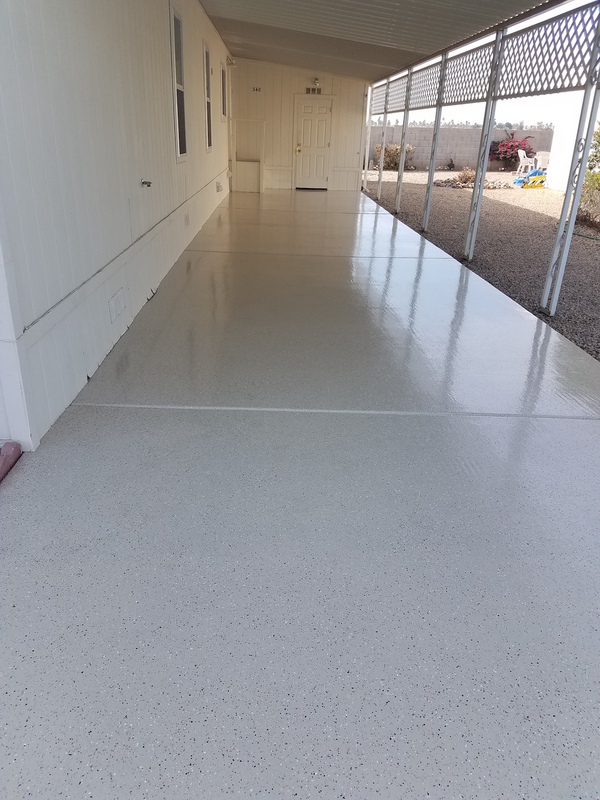 A Concrete coating is a broad term that refers to a semi solid or liquid application applied to concrete–stains, overlays, epoxy floors and more. 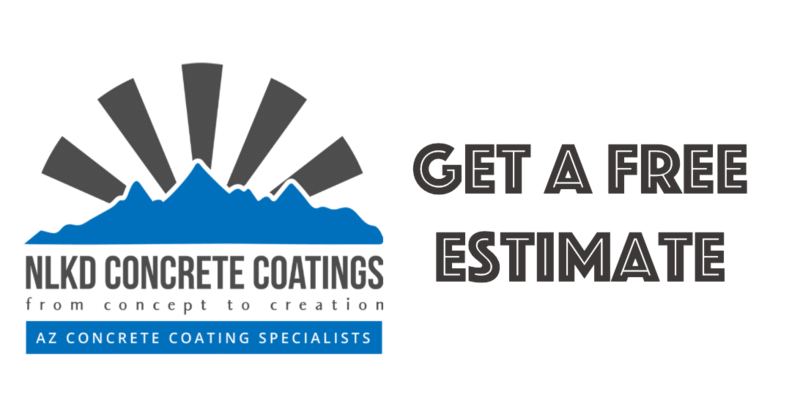 Coatings can be used for decorative and protective purposes. 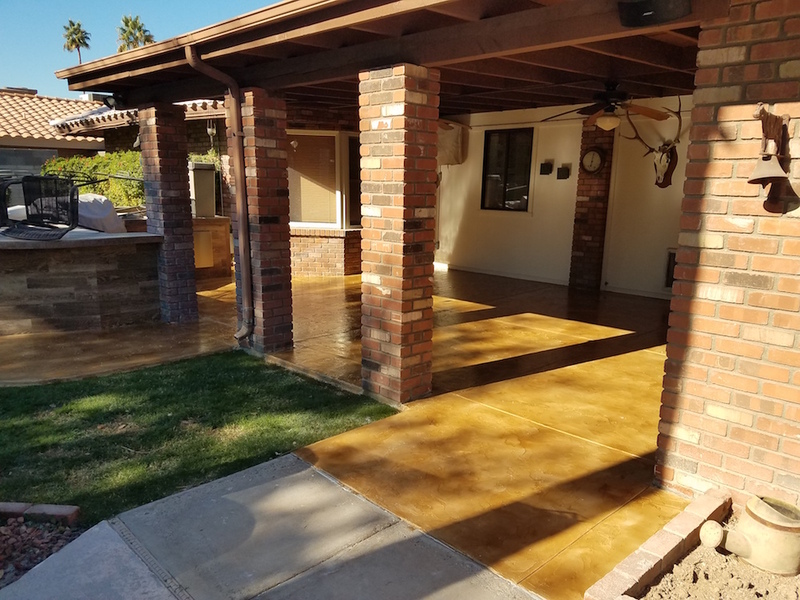 For over 15 years we’ve provided superior concrete coatings and overlays to properties in Phoenix, Avondale, Peoria, Glendale and other valley areas. 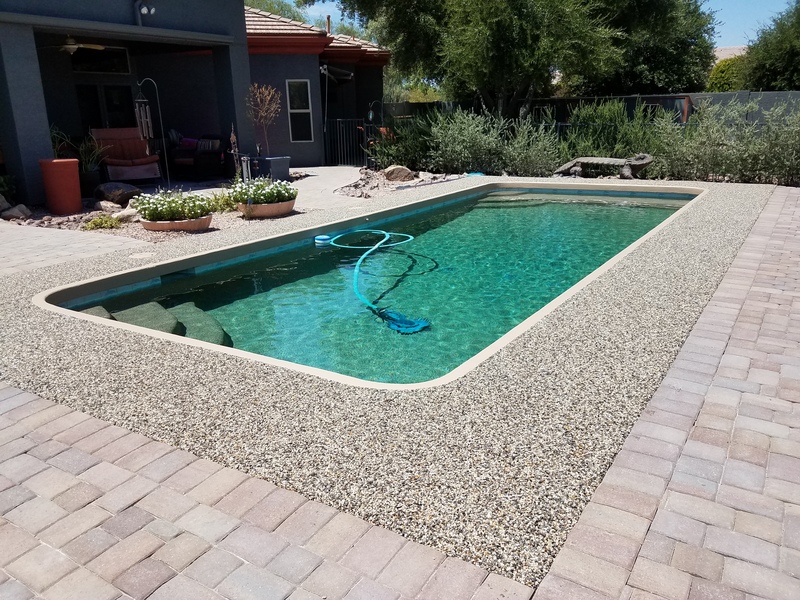 As local Arizona residents and licensed contractors, we believe in providing the very best service and value to our customers. 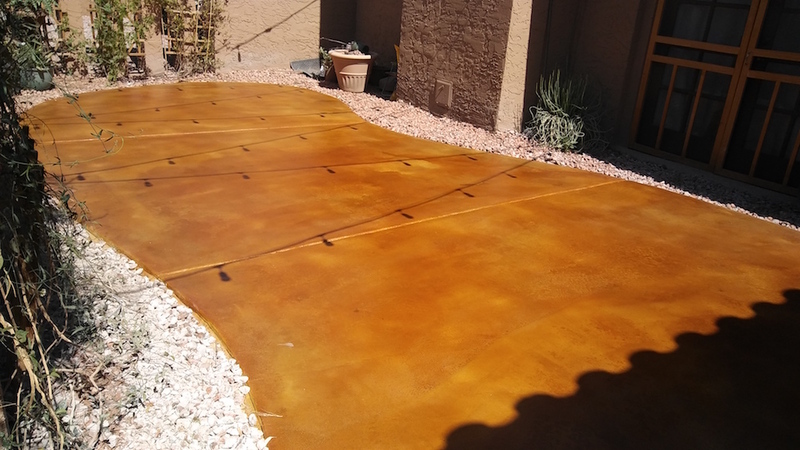 We understand the value that concrete coatings brings to a property, and not just from a financial standpoint. 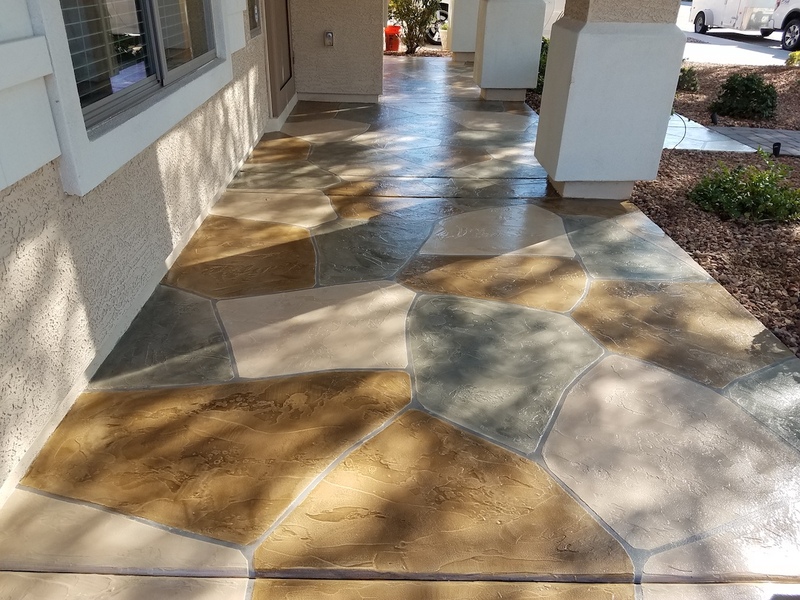 Concrete Coatings are great for a multitude of projects and offer many decorative and protective benefits for residential, commercial and industrial applications. 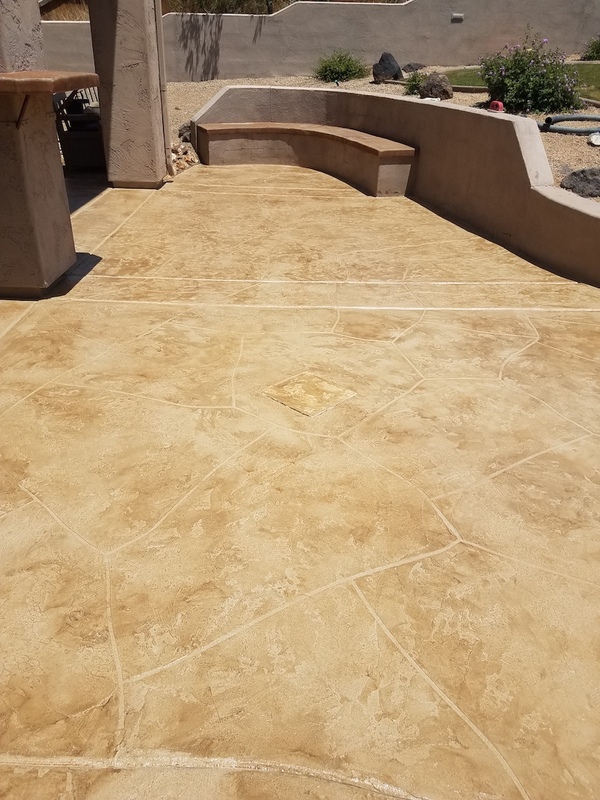 Let our team work to create concrete you love! 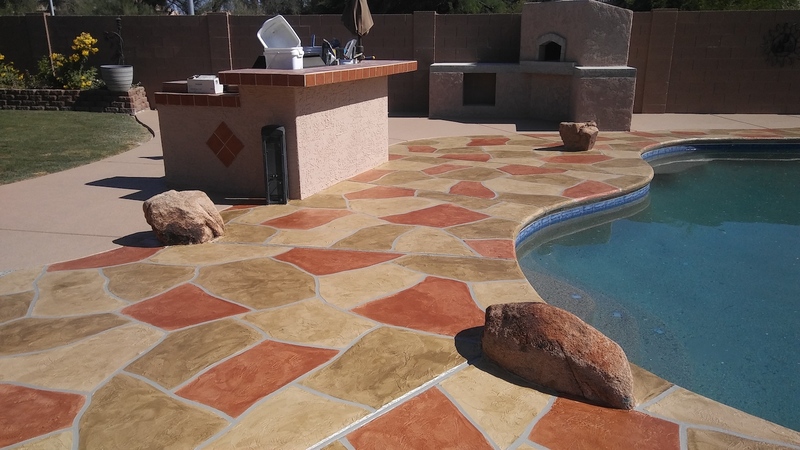 We are happy to consult with you on your next project, whether it be to resurface your pool deck, apply a high performance epoxy coating to your garage, or redesign, waterproof and seal a commercial floor. Resurface your pool deck, and create the perfect texture and appearance to accentuate your backyard. Durable and high performing floor coatings excellent for residential, commercial, and industrial floors. 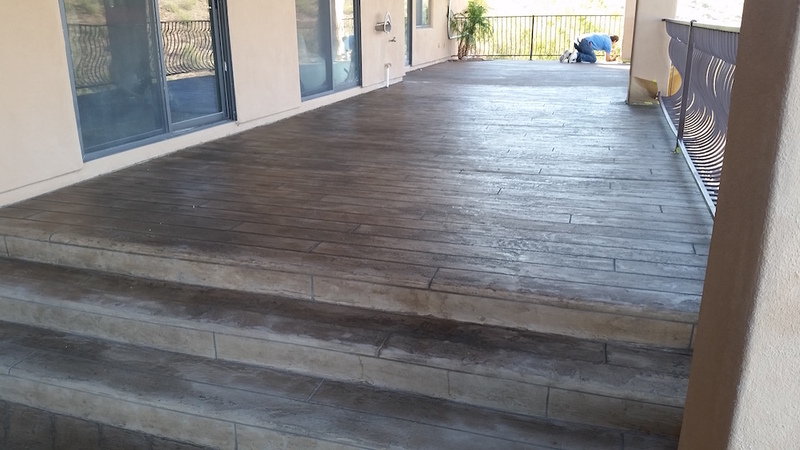 Remove existing concrete coatings to apply new or remove and bring back the original concrete look. We can remove overlays, epoxy and tile motor. Add function and beauty to commercial or industrial floors with our high performing overlays, stains, and and sealants. 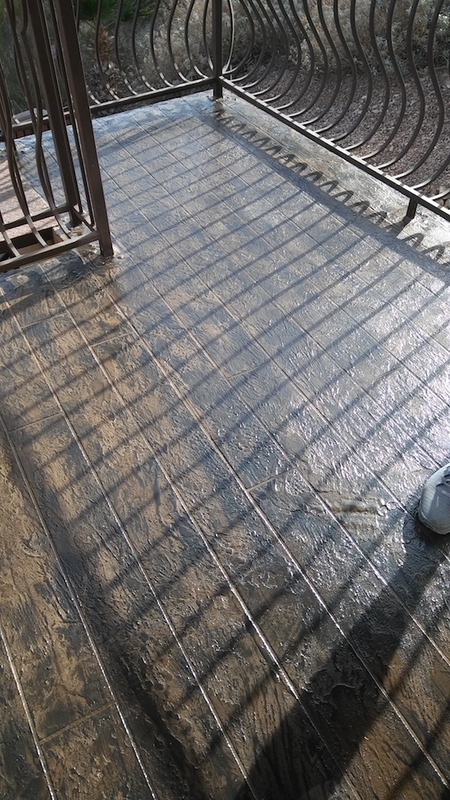 Our Commercial Concrete Coatings provide the perfect solution for businesses, commercial and industrial spaces. 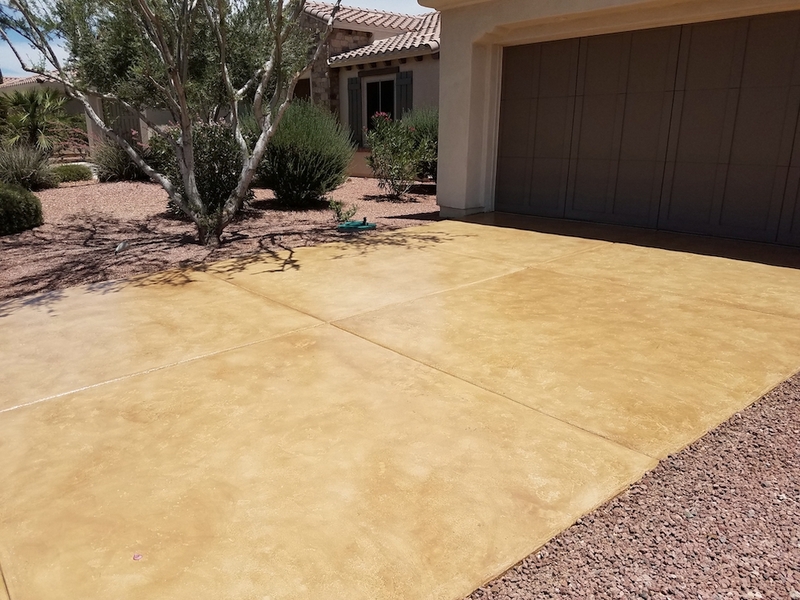 Concrete coatings provide protection, durability and decorative enhancements and can be used for any commercial application. Whether you are a hospital, corporate office, private or public airport, library, restaurant or offer commercial business, we are happy to offer a complimentary consultation for your desired project. 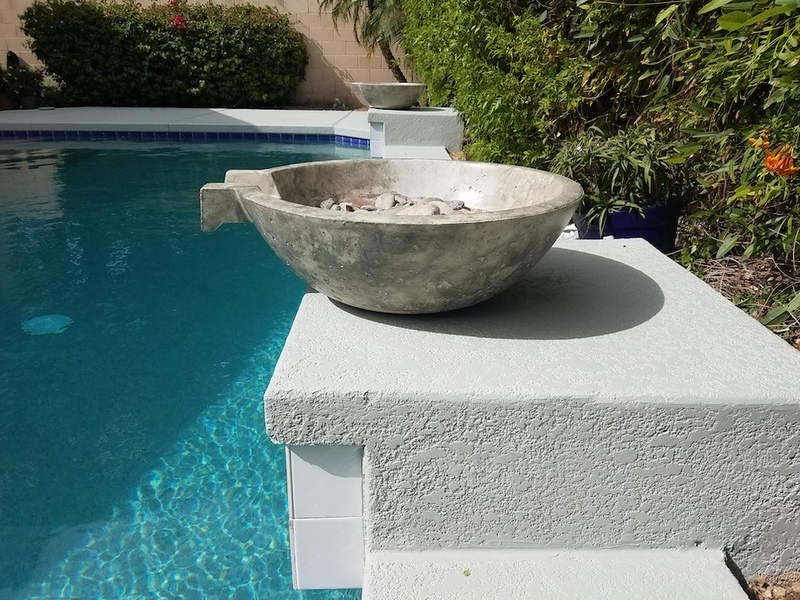 At NLKD Concrete Coatings, our focus is to bring worn concrete floors and pool decks back to life, providing safety and enjoyment for your home or business. Resurface, restore and protect indoor or outdoor foundations with our concrete repair and resurfacing services. We work with existing concrete foundations that need to be repaired or redone for decorative purpose. 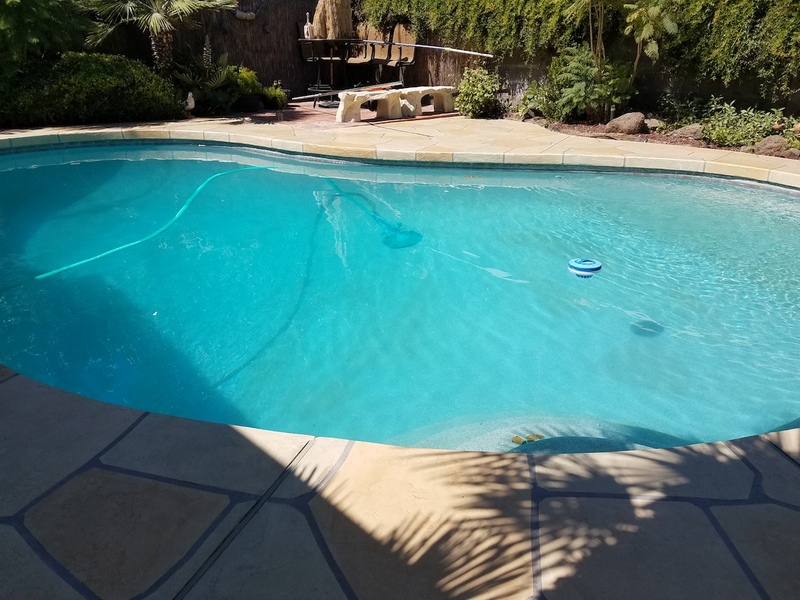 There are many options when it comes to bringing your properties pool deck, garage floor, outdoor patio, and even interior living area back to life. Choose from a variety of textures, colors and effects, or customize the look and feel that you desire. 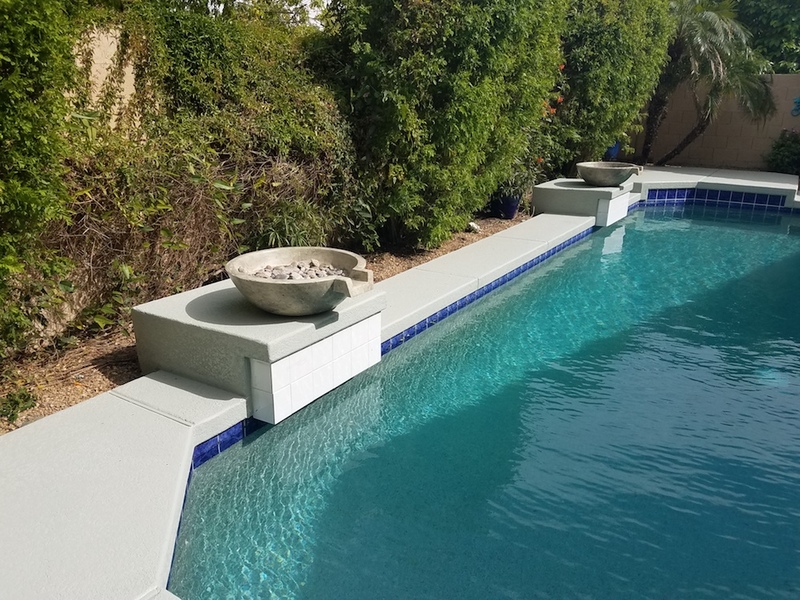 Whether you need to simply repair cracks and crevices, cool deck your pool deck, or re-haul an entire commercial space, our team can help. 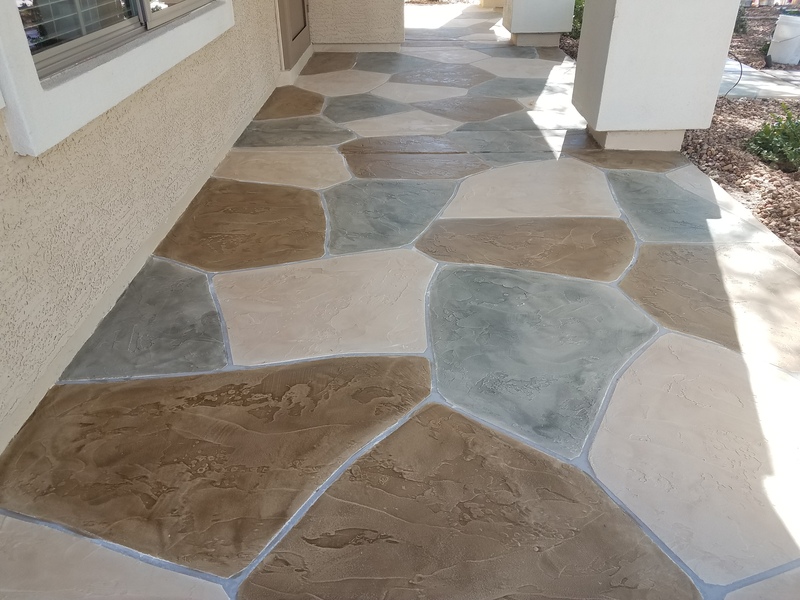 Using high quality materials, stains, sealants, and aggregates we will create an entirely updated and new look for your home or business. 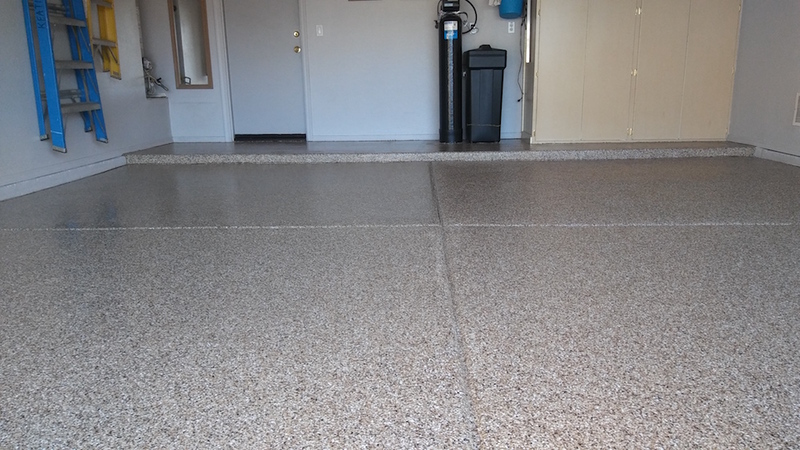 Concrete Resurfacing is the perfect way to cost effectively update an existing concrete slab. It entails applying a thin coating or overlay over the existing foundation. 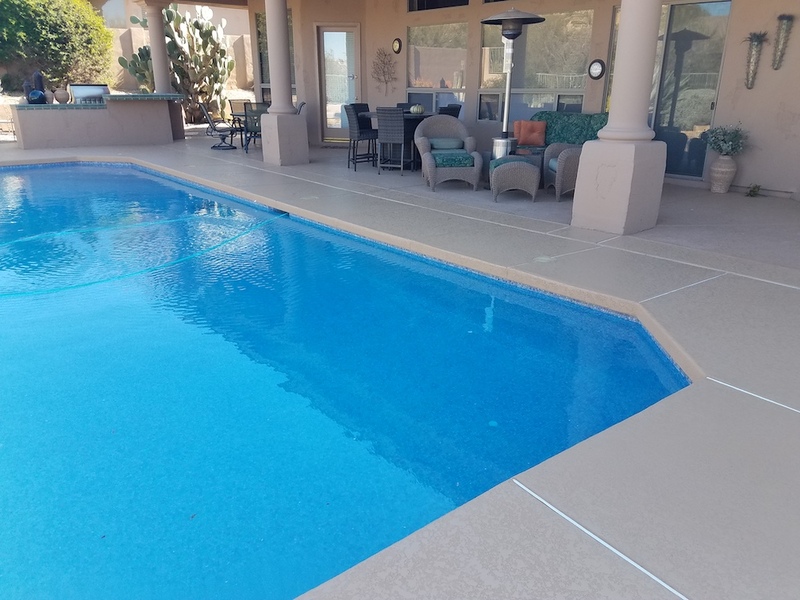 Overlay options range from metallic stains, to protective coatings for pool decks. 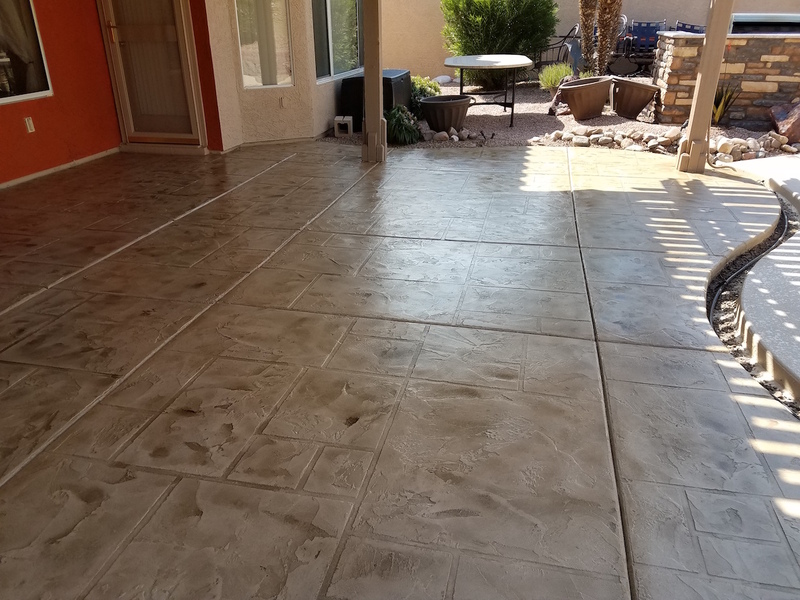 We provide our concrete resurfacing services for residential and commercial properties throughout Phoenix. All of our floor coatings are done with care and detail. 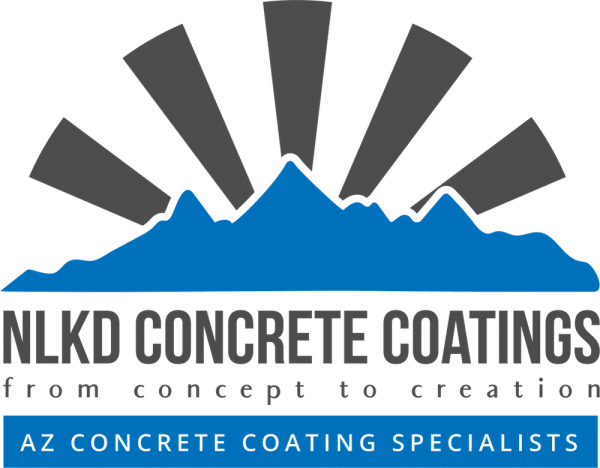 Let the team at NLKD Concrete Coatings consult with each you about your project. 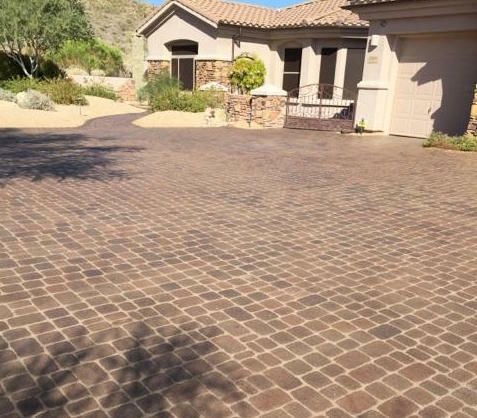 We are happy to offer free estimates and will provide information on the many overlay colors, styles, and textures to choose from. We take concrete and make it art. 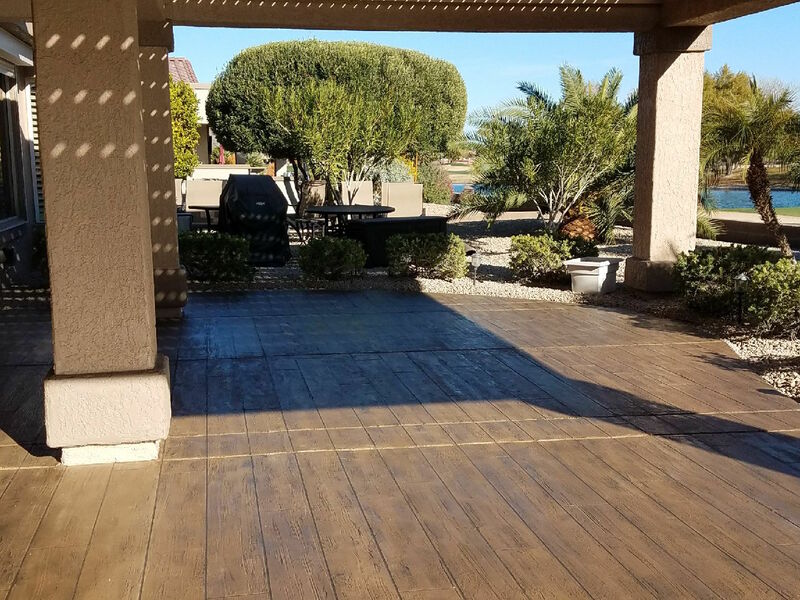 With Stains, epoxies and overlay options galore, we can change the entire look and feel of your backyard, home or business. Concrete foundations can go from dull and unsafe to textured and extravagant with our resurfacing services. Explore metallic epoxies, concrete stains,high gloss sealants and more. 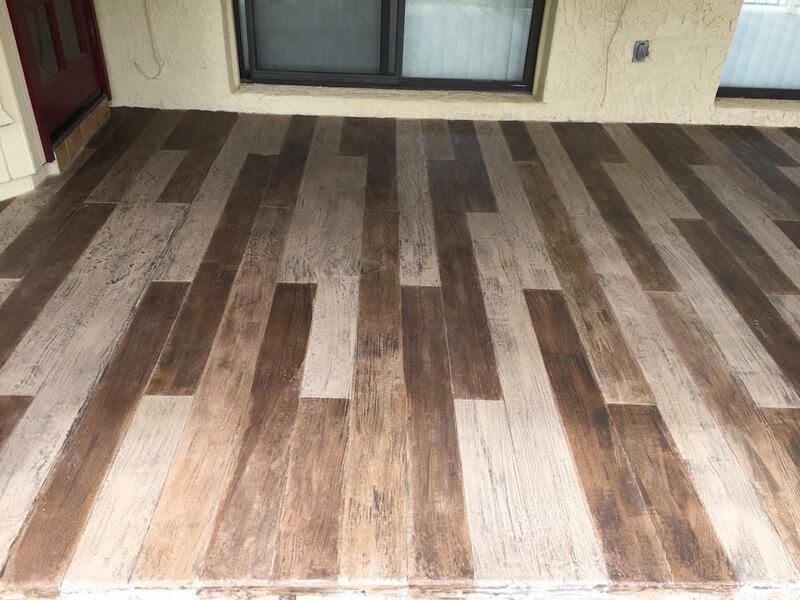 Let your floors quickly become a focal point in your home or business. 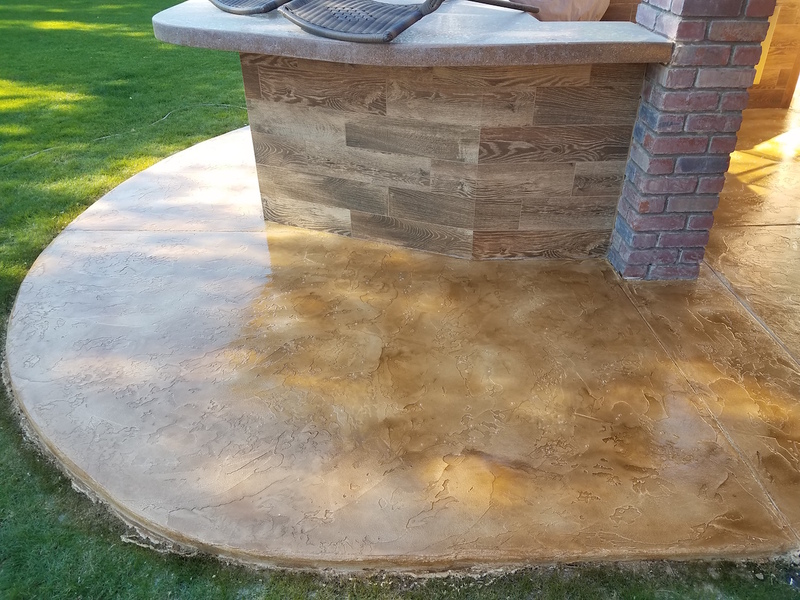 Whether we are resurfacing your pool deck, staining and sealing your driveway, or adding a concrete wood look to your back patio, our services are always professional and affordable. 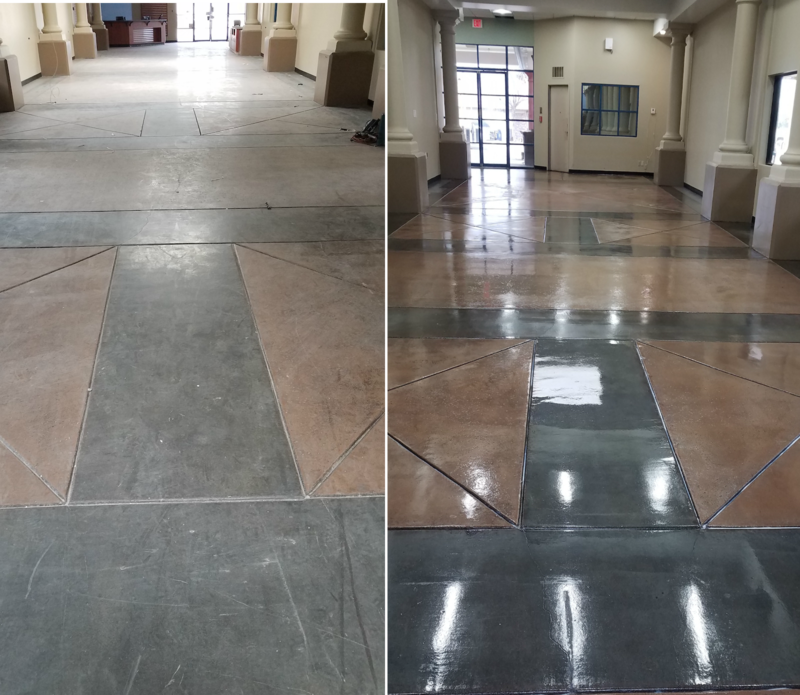 Bring worn, high traffic areas back to life with our commercial grade products and solutions. 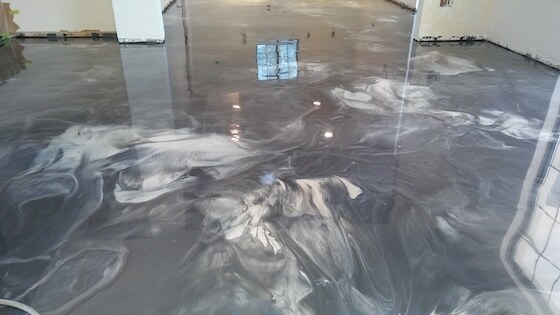 There are a variety of options for enhancing and reviving commercial floors. Let us help determine what needs to be done. 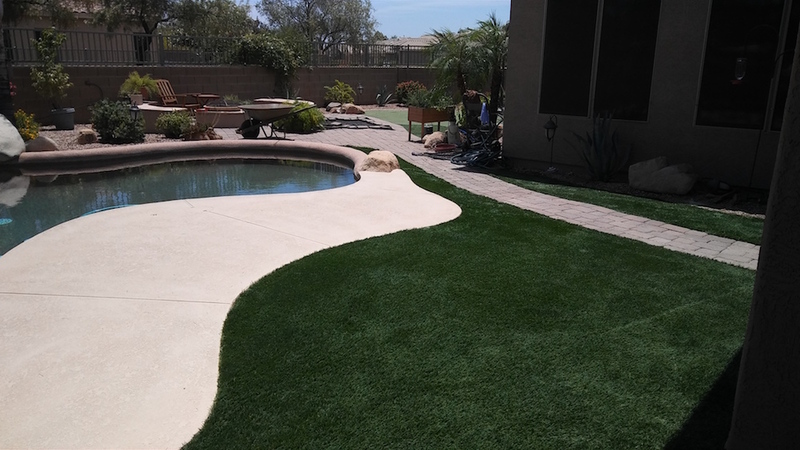 As local residents, we have decades of experience and expertise in the industry, as well as firsthand experience with the intense Arizona sun. Every project is executed with precision and detail to provide the very best outcome. We believe that high quality work and happy customers is what being in business is about. We are very honored to have great customer feedback and reviews! It means that we are doing what we set out to do! 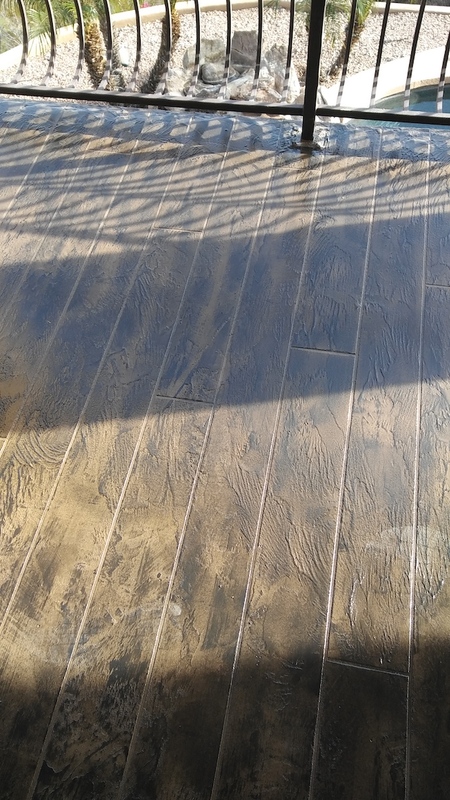 Working with New Look Kool Deck and More has been extremely pleasant, and the final product is great. I personally recommend them and will use them again. Love how our kool deck turned out! Made our backyard look better than I imagined. 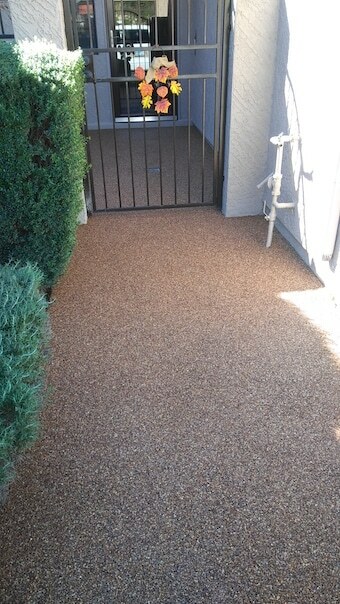 I had a driveway and garage floor at my rental home that needed to be freshened up in order to up the rental value. I went with New Look Kool Deck & More LLC based on recommendation. I couldn't be happier with the outcome.